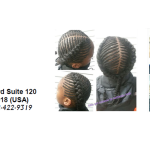 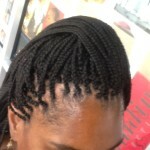 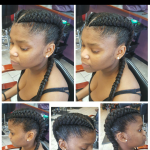 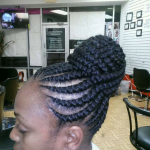 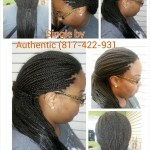 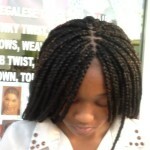 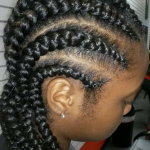 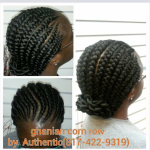 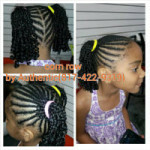 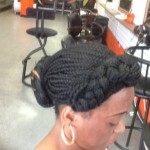 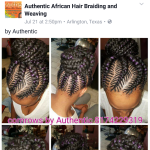 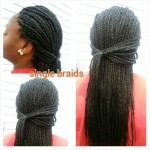 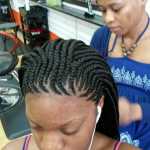 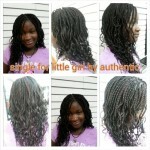 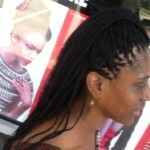 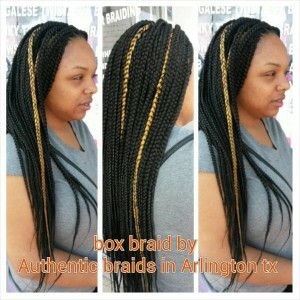 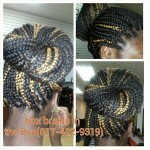 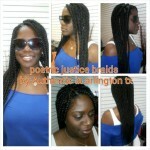 The single box braid style is often achieved with synthetic or human hair additions. 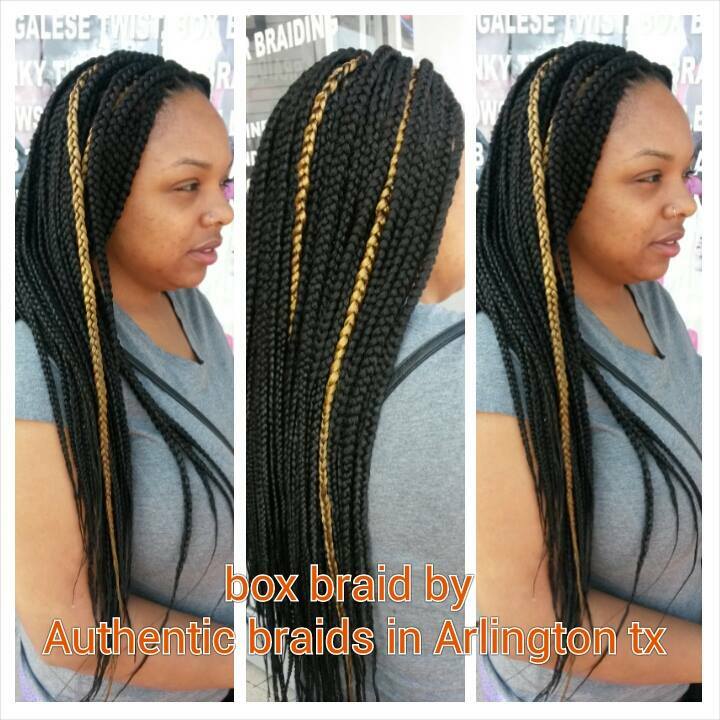 The name is derived in part from the “box” or square-shaped partings for each braid. 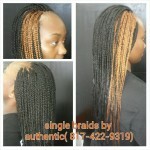 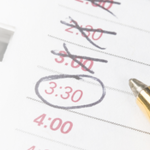 While extensions are used for this style, they’re not required. 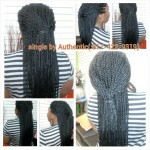 In most cases, extra hair is used for an overall uniform look in length and thickness. 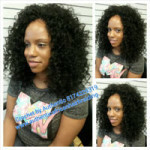 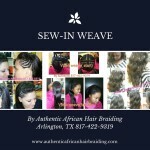 When synthetic hair is added, the ends are often briefly dipped in hot water to seal or relax them.